[New for 2017] So I finally managed to not only find this flavor, but to get it in to my work freezer. I don't know why it's so hard for me to find Blue Bunny nowadays, but this one was worth the wait. Looks pretty tame right? Hey, I got a little scared too, but to be honest, I forgot to write my opening thoughts yesterday and am now typing this having just finished my enjoyable second scoop. I think it would be easy to look at this and even take a few bites and wonder why this one seems so simple, but then you remember the promise of PB and cones, and then you press on. Don't even waste your time trying to analyze the individual components on this one. This may sound simple but make sure you get a bit of everything on your spoon. It's critical for a flavor like this when 87% of what's in front of you is just a ho hum vanilla ice cream. If you heed this advice, you will get lost in this one like I keep doing. That's right, I start scooping and I don't want to stop. I'm not saying it's shovel, shovel, shovel in to my mouth, but there is a steady pace of enjoyment here. No one item will blow you away. You could try a waffle cone bit and go "meh, that should be more crunchy". You could try the peanut butter and go "I'm not sure I love it". Put all three together and you get this mix that's not too salty, not too sweet, and has a decent peanut butter complexity to it. To say that again, don't rush here. There's plenty of waffle cone bits to go around. 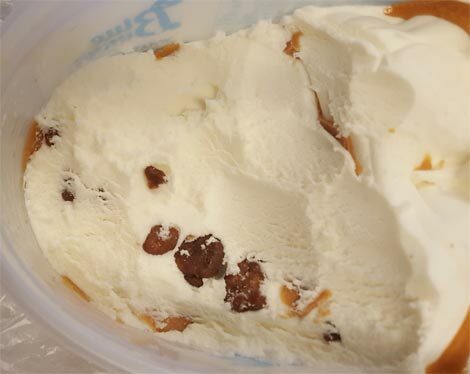 There's enough peanut butter swirl if you pace yourself right. Slow and steady my friends. There is nothing crazy going on here. Yes, the waffle cone bits are nice and all, but this is still a fairly traditional flavor that just happens to use a bit more novel and well rounded approach to reach its goal. Don't take this as a pb cup flavor displacement, the flavor isn't strong enough for that. Just take this one as a change of pace and enjoy. This one has been easy for me to find - but the honey bunny has been impossible. I finally found it on a work trip .... it is fantastic! If you happen to come across it, you should definitely try it. I couldn't stop eating it. What is the honey bunny one? There is just something about this flavor that is addicting. There are not alot of the cones and swirl but it is enough. I just love it and I also cannot stop eating it. I just bought the Banana Split today and hope it is good too. have you found the monster cookie blue bunny yet.??? @Anon#2: Honey Ice Cream. 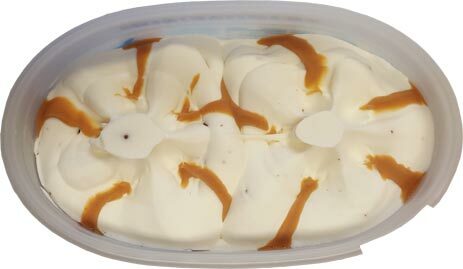 Graham and Caramel Swirls. Limited Edition. Sounds good right? @Waffle: nope! will continue searching though. Someone mentioned banana split flavor. 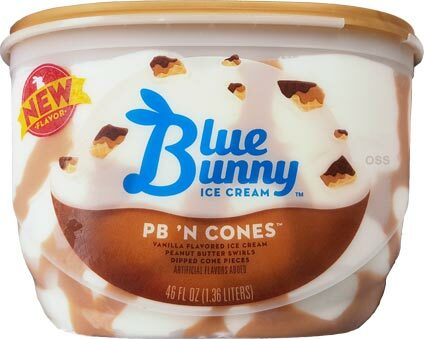 A few years back, there was a banana split flavor ice cream that actually had peaches in it! And I thought wow that's different. And then I tried it and I was like wow this totally works and why haven't I been adding peaches to my own banana splits?! The fruits mesh incredibly well. But I can't remember what ice cream brand it was. Do you happen to know? Can't believe positive reviews aren't getting paid . The peanut butter is absolutely awful and doesn't taste like peanut butter , cones are just okay but pb absolutely ruins it . 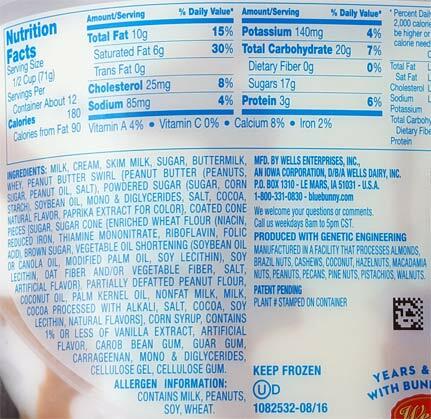 Why they don't use the same peanut butter as the peanut butter party ice cream , I just do not understand ! If they did this would be terrific stuff but as it is it's horrible! out of curiosity: am I supposed to take that offensively? I want to say yes but I'm too tired to be sure.